Opulence prevails at The Manhattan, a 27-story tower with incredible features, finishes and amenities that you will be hard pressed to find in any other development for any price. Homes have been professionally designed and decorated by leaders in the design field, with influences from fine residences all over the world. Open floorplans and large picture windows make this Dunwoody property particularly popular. Surrounded by both big-name stores and boutiques, and countless restaurants within walking distance, there's nothing suburban about this high-rise. Have any comments or questions about Manhattan? Ask your question and/or share your thoughts about this Building. What all is included in the HOA fee? I would like if anyone would consider leading their unit for at least 1 year or more? 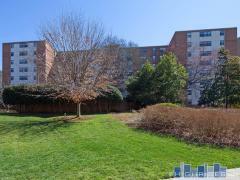 Want to see a condo that is larger than 1750 sq feet. Do you have them and are any available? Has anyone ever joined 2 units?